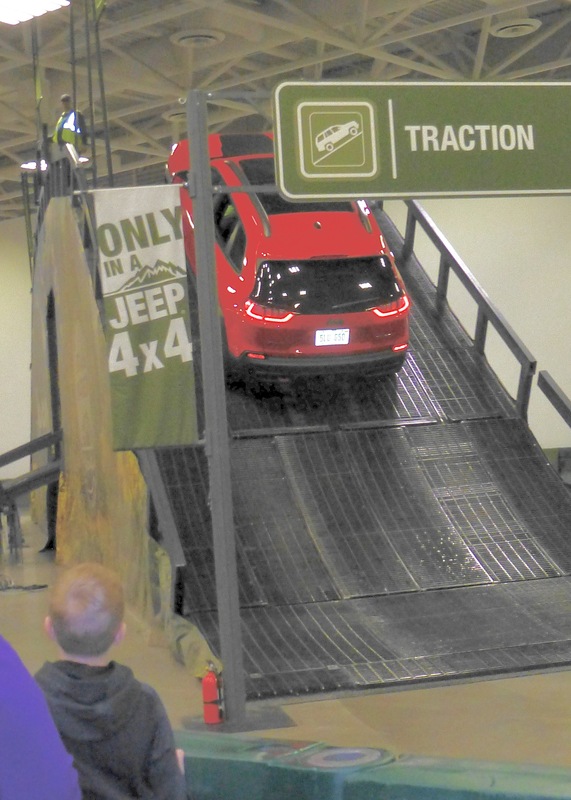 A young boy implored his family to stop and watch the Jeeps master the Camp Jeep obstacles at the Minneapolis Auto Show. “Hey dad! Look! Look! LOOK,” the little voice grew bigger as the young lad yelled. His urgency demanded to interrupt his dad’s intention of casually wandering around the Minneapolis Convention Center to take in the Greater Minneapolis Auto Show. The dad probably wanted to move along, but they weren’t going anywhere, for a while. The young boy had stopped, transfixed, next to Camp Jeep, which has got to be the best marketing ploy at this or any auto show. People can actually drive — ride with experts — in an assortment of new Jeep vehicles, including the Wrangler, Renegade, Compass, Cherokee and Grand Cherokee. But not just a ride. They follow the carefully built track that twists around and goes up and down at side angles, heading toward an amazingly steep hill, right there in the middle of Camp Jeep. As the various Jeeps surged up the rise, we all stopped to see if it would make it. Of course they all did, up and over, disappearing over the other side. I have seen many Camp Jeeps, at many large auto shows, but it seems extra special right here in Minnesota, downtown Minneapolis. I was able to walk on, but the young dad and his little kid were still there — and might have remained right on through the March 18 final day of the show. Kids love to play with cars and trucks, and it seems like the smaller the little boy, the more excited he is to watch every move a truck, or a Jeep, can make. In the grownup world, we are too confused to appreciate such simple pleasures. 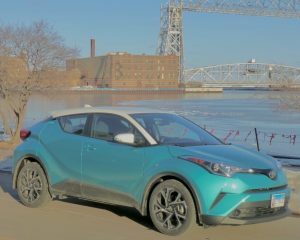 For example, as I visited the Minneapolis show, I was road-testing two vehicles that were at the show. One was the all-new Toyota C-HR, the other a new Cadillac CT6 3.0 TT sedan. CT6 3.0TT looks like a Cadillac luxury car, but it has high-power turbo V6 and AWD too. Both are interesting. 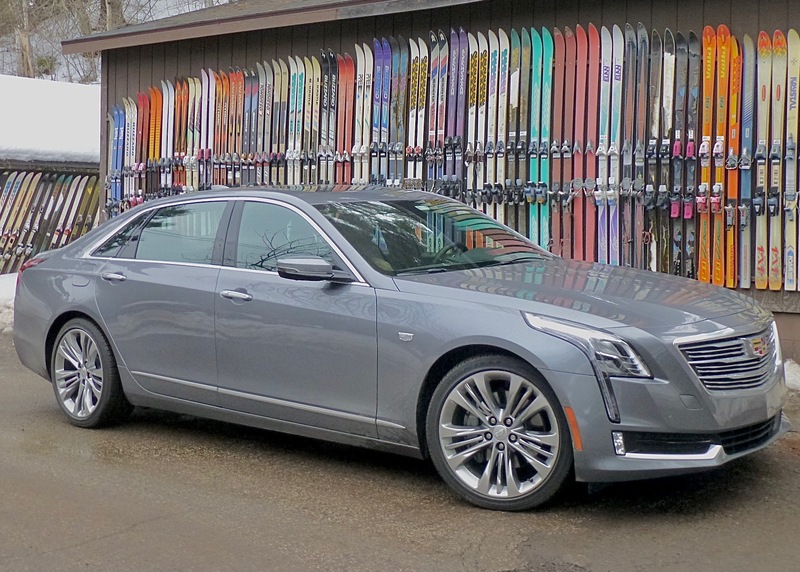 The CT6 is a beautifully designed sedan that seems traditionally Cadillac — long and low and shapely, with seriously engaging grille and headlights, and all the comfort and safety features you can imagine, along with a few that maybe you can’t. 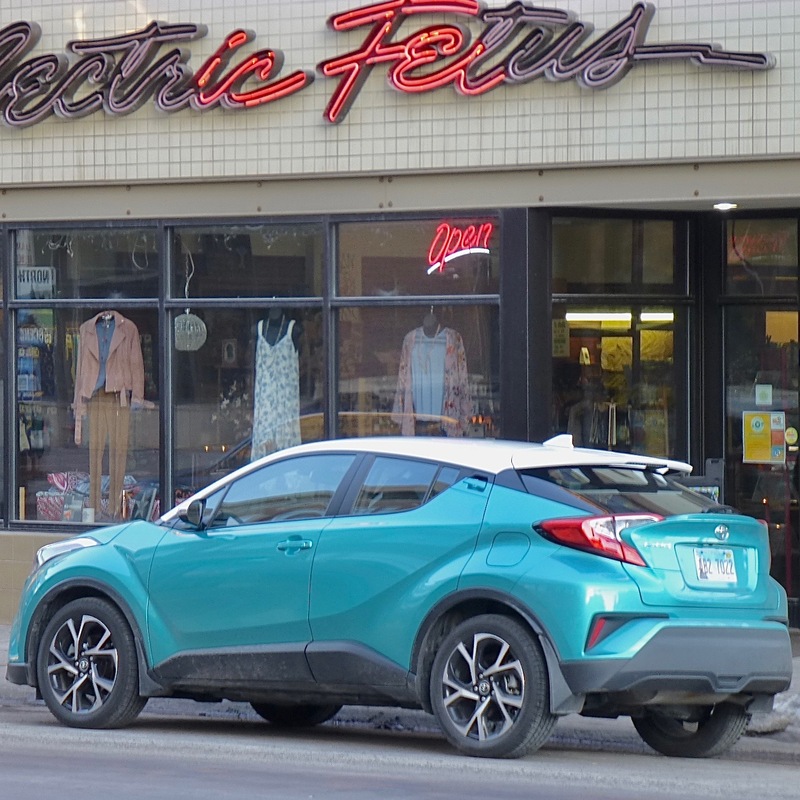 The C-HR is Toyota’s bid to try to capture some of the small-SUV fans who may be tempted to veer off course and buy a small Honda, or Mazda, or maybe even one of those somewhat odd Hyundai Velosters or Nissan Jukes. The Veloster and Juke look like they might be related, with odd bulges and contours that are way out beyond the norm. Walk around the Veloster and you’d be impressed that it looks like a 4-door from the passenger side, but a 2-door from the driver’s side. It is, of course a 3-door, and Hyundai has just redesigned it to round off the bulgiest bulges for 2018. If a vehicle looks like an SUV and has SUV utility, is it an SUV — or a Toyota C-HR? 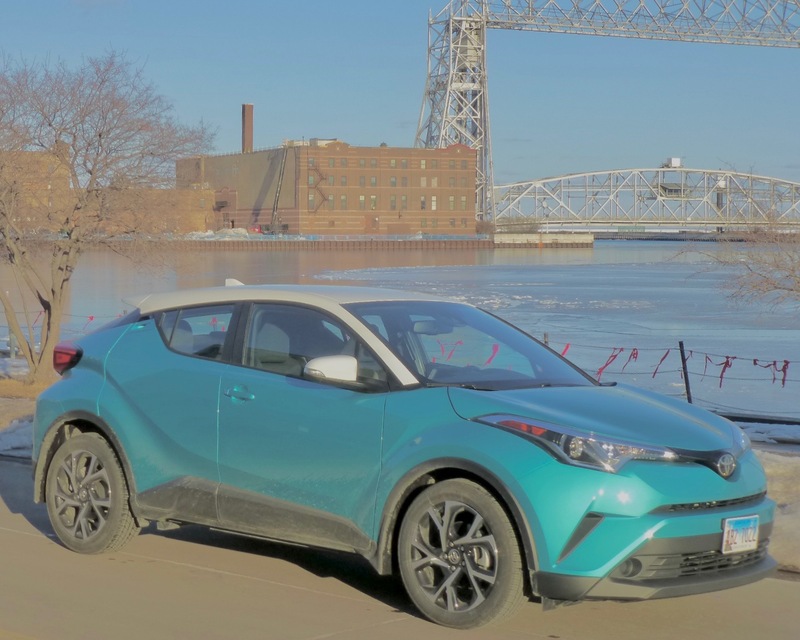 If Toyota is taking on those outliers — as opposed to Outlanders — it has done the design part, because the C-HR looks like a prototype for all the new subcompact SUVs, and the price was right, at $24,000. However, up in the Great White North of Northern Minnesota, a lot of us think it’s borderline criminal to build an SUV-ish vehicle that is not an SUV. All-wheel drive is not available on the C-HR! 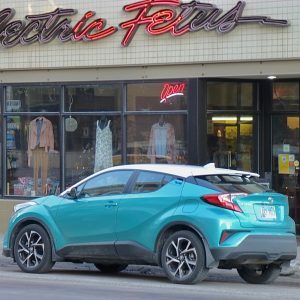 So it is an SUV-looking thing that is front-wheel-drive only, making it sporty in acceleration and lightweight, powered by its 2.0-liter with 144 horsepower and 139 foot-pounds of torque, but if you encounter a 12-inch snowfall in your driveway after driving home from the auto show, you might curse Toyota’s trendy maneuver. 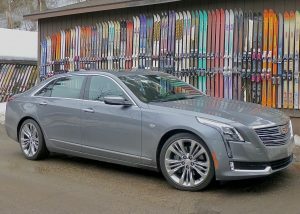 The Cadillac CT6, on the other hand, has the potent new direct-injected dual-overhead-cam 3.0-liter V6 with cylinder deactivation — and, it does have all-wheel drive. In other words, we are confused enough that we now are looking at a full sail luxury sedan from Cadillac that can do the job of an SUV because it has got AWD, and an SUV-like compact from Toyota that can’t even pretend to be an SUV, because is hasn’t. Meanwhile, the young lad doesn’t care about any of that stuff because he’s still transfixed by the Jeeps, which continue proving what you see is what you get, scrambling up those hills. Hyundai’s new Kona isn’t in showrooms yet, but is a mini-SUV with a turbo and AWD. Camp Jeep now has spun off rivals. Mitsubishi, for example, also has a driving experience, promoting its comeback attempt with the Outlander, Outlander Sport, and its new Eclipse Cross. The Outlander PHEV is the first electric crossover SUV with all-wheel drive, and the Eclipse Cross has an available 1.5-liter turbo. 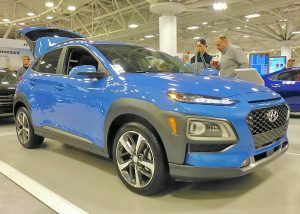 Hyundai, meanwhile, is showing off its new Kona, a slick styling exercise that is more compact than the Tucson, and should go some, with a 1.6-liter turbo and Hyundai’s excellent dual-clutch 6-speed. Ford is showing off its new Mustang Bullitt, a model to take advantage of the still-memorable movie “Bullitt” with Steve McQueen at the helm of a dark green Mustang. We’ve seen the new Bullitt before but both the Outlander PHEV and Eclipse Cross are making their public debuts at the Minneapolis show. That’s impressive for a show that is not one of the nation’s super shows, such as Detroit, Chicago, Los Angeles or New York. 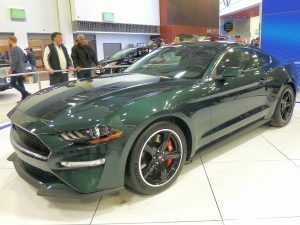 It’s put together by dealers in the Twin Cities, but it is the 15th largest show in the country, and they have caught on, employing a slick PR outfit, Nemer-Fieger, with an energetic young representative named Molly Steinke who has been doing her best to reach the media and entice them to visit the show. They also have a very neat program, with capsules on all the new cars you might be interested in, rather than just an ad-carrying sheet. 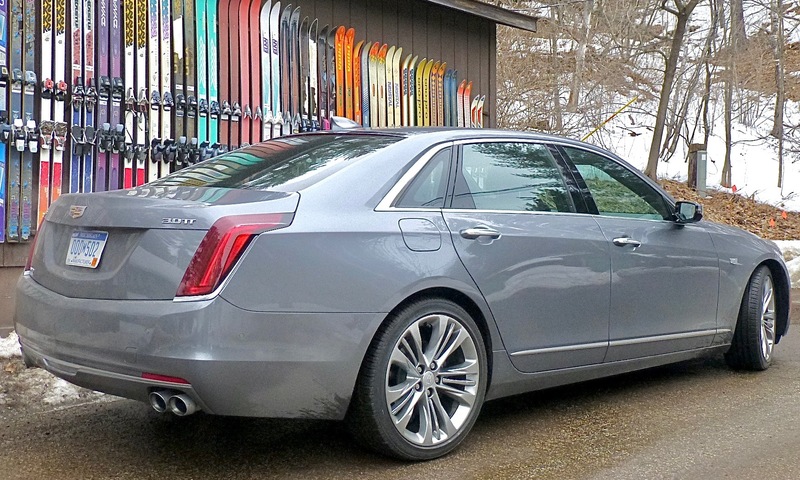 Big, sleek Cadillac has turbo V6 — and AWD. The Cadillac CT6 was a pleasure to drive from Duluth to the Twin Cities for the state high school hockey tournament, which, as usual, featured some games that could be put away in a time capsule to show all that’s good about living in Minnesota. 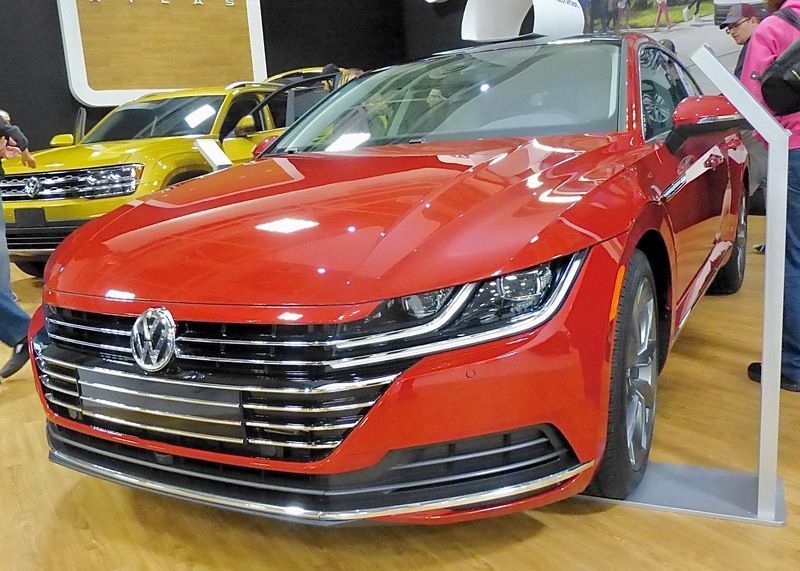 It was a tough squeeze to fit in a Saturday morning at the auto show on press introduction day, and it was a shame to waste all that rear-seat room, which could easily accommodate two large adults in glorious luxury. With a turbocharger blowing through the 3.0 V6, the CT6 develops 404 horsepower and 300 foot-pounds of torque — more than the traditional top 3.6-liter V6. 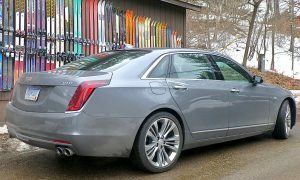 Suspension and handling, to say nothing of the enormous trunk space, are exemplary in the Cadillac, although I would need about a month to get comfortable with its elaborate “CUE” system. You can, for example, figure out how to tune the radio without getting too many fingerprints on the big touchscreen, but while you’re figuring out what Cadillac was thinking with the complexity of controls that once were far easier with a round knob, be careful — if you sweep your finger across the dial, too close to the screen, you will make the volume go way up, or down, depending on which way you sweep. C-HR shaped like SUV, but no AWD exists. The C-HR has plenty of pep from its 4-cylinder, and, after you fiddle with the adjustments enough, you learn that it has a control to allow you to be in normal, eco, or sport, and sport firms up the suspension and gives a dose more power to a touch of your toe, even though the CVT transmission will do its best to quell any sporting thoughts. Just as well, because the lack of AWD meets the drone of the CVT about halfway. Meanwhile, back at the auto show, Chevrolet, Ford, Toyota, Mazda, Jaguar, Land Rover and Volkswagen are all offering brief test drives in assorted models. 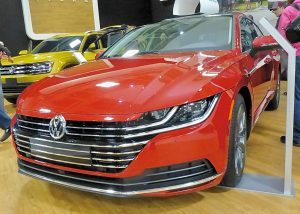 Volkswagen showed its new Arteon sedan, which will replace the stylish CC. Volkswagen has Jettas and Passats for test-drives. No, you can’t drive the new Alteon, but there is one on display, an impressive looking sedan that owes its sleek silhouette to being the replacement for the sleek but discontinued CC. The Alteon is pre-production and stays locked on the pedestal, while Volks is pushing test drives of its new Atlas, Alltrack, and Tiguan — VW’s posse of SUVs. Yes, Volkswagen, perhaps the world’s most traditional maker of compact and subcompact cars with the Beetle, Rabbit and Golf, is now up to its headliner in SUVs. And the little boy at Camp Jeep remains the only one not confused by it all.